"I think what inspires my style is my mood mostly, I try to express myself, it's different each day. So right now it's definitely the 70s, sometimes it's flower child, sometimes it's Abba." 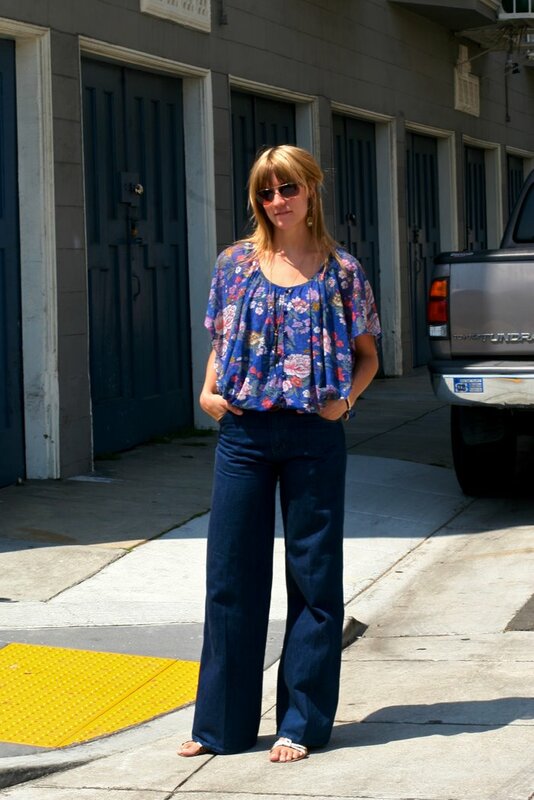 Lovely blouse and sitting-on-waist flared jeans. I like how she looks like she could've stepped out of a 1979 Prell ad. Gretchen is the powerhouse behind Moth Love. A look at her sandals. Adoring her look. 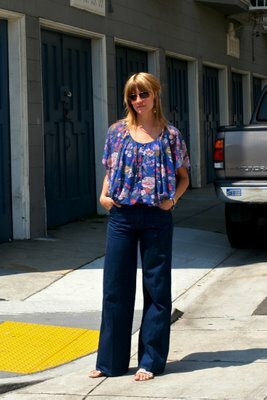 I've also been in a 70's boho-chic mode these days. Something about the hair, flowy tops, bangles on the wrist and sandals just brings you back to a different time and fashion. Very California summer.